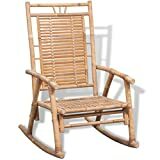 Top 10 Wicker Chairs - Rattan, Bamboo, Sea Grass and More! When you hear about Wicker furniture or Wicker chairs you might end up thinking about a specific material that such a furniture or chair may be made from, however, it does not refer to any specific material instead it’s a general term used to refer to woven furniture and accents. Some of the material that are commonly used include rattan, bamboo, sea-grass and similar other synthetic and natural hard fibers. The most popular material used is usually return especially it’s “vine” version. 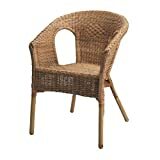 It would therefore depend upon the actual material that has been used to manufacture wicker chairs. This is why you will often find that wicker chairs and rattan chairs can usually be used interchangeably however all rattan chairs are usually wicker chairs but not all wicker chairs would necessarily be made from rattan. Wicker furniture is categorized among those that are the most beautiful and appealing to the eye as wicker itself, not only appears aesthetically pleasant but also boasts durability and is long lasting. Anyone looking for a piece of furniture for their home or even their office or their commercial premises would want not only something that would be beautiful but also a piece of furniture that would be long lasting and for these types of people wicker is definitely the most appropriate furniture material for to go for. Wicker chairs are usually purchased for people to sit on however they tend to have an additional use too and that is to sometimes use as a platform to reach out to your cupboards or heights that may be beyond your reach. And the reason wicker chairs are preferred is because of their sturdiness and durability which is what makes them useful for different types of environments. A strong chair would always stand different types of uses. 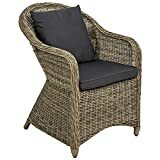 There are different types of Wicker chairs available in the market with a variety of different designs and styles, and there is an increasing demand for these types of chairs too given the numerous advantages that they come with, however most of them maintain their unique quality and characteristics which is what makes people go for wicker chairs in the first place. The cushion is made in Germany and also available in other colours. Our soft honey coloured natural bamboo chair has been woven to create a modern look. Makes a fantastic occasional chair - feature in the bedroom, hallway or the lounge. The honey coloured bamboo and simple yet sturdy iron legs will compliment all home decor. Seat height - 43cm H Measurements - 85.5 H x 46 W x 51 D cm. Comes in to parts, easy to assemble. Browse our entire wicker range and selection of natural wood stools, bar stools, chairs and home accessories. Ideal for Bedroom, Conservatory, Nursery Etc. STYLISH: A great addition to your garden and outdoor furniture. COMFORTABLE TOP CUSHION: Provides hours of comfort. Attached via tie fastenings. 360 DEGREE SWIVEL: Can move around into any position easily. Rounded for extra comfort. STURDY BASE: Made from PE rattan - weather, UV, crack and fade resistant. Steel frame provides extra support and stability. Easy to clean and maintain. DIMENSIONS: Whole: 97L x 87W x 90Hcm. Seat 92Wcm. Seat to floor: 35Hcm. MAXIMUM WEIGHT CAPACITY 160KG. Wicker chairs look extremely and amazingly beautiful and apart from the colour that is naturally retained for these types of chairs, their weaved patterns add to their beauty. So if you are looking for charm and elegance for your seating environment then a set of Wicker chairs would be all you need as they would look pleasantly different from traditional plastic chairs and chairs made out of wood and other material. Wicker chairs are quite strong and long lasting and they have often been found to outlive their own owners. This is because they are made from fibrous material which guarantees their strength and durability. Most types of material used to weave wicker chairs such as rattan, are usually flexible and resilient which would withstand all types of weather conditions. So, if you would like a set of chairs that would be long-lasting then wicker chairs, especially rattan chairs would be what you should be going for. 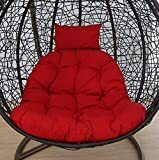 Another advantage of wicker chairs is that they are relatively safer compared to other types of chairs as they are stronger as well as lightweight. 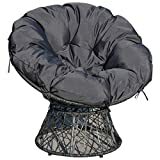 You can carry them with ease and move them around and if they fall over you then you can still be sure of sustaining no significant injuries in most cases, depending upon the actual nature of the chair that you end up going for. They can handle your weight as well as withstand rough usage by children. One of the biggest advantages of wicker chairs is that they are easy to maintain and clean which is an important routine for chairs of all types. Wicker chairs can easily be wiped off with a clean cloth to remove any dust or stain that may have accumulated over time, however, you should be getting into the habit of maintaining them on a regular basis so they do not stain or accumulate dust at all. Wicker chairs are beautiful and long-lasting but they are cost-effective too so you will find them being sold at cheaper prices compared to those that are made up of other material types. Whether you would like to use them as dining chairs or spare chairs to relax on in your backyard, wicker chairs would be a perfect addition to the range of home and garden furniture that you already have.